The continual innovation of the software company, which leads the market in its sector, is the best ally of medical equipment and pharmaceutical furniture manufacturers. 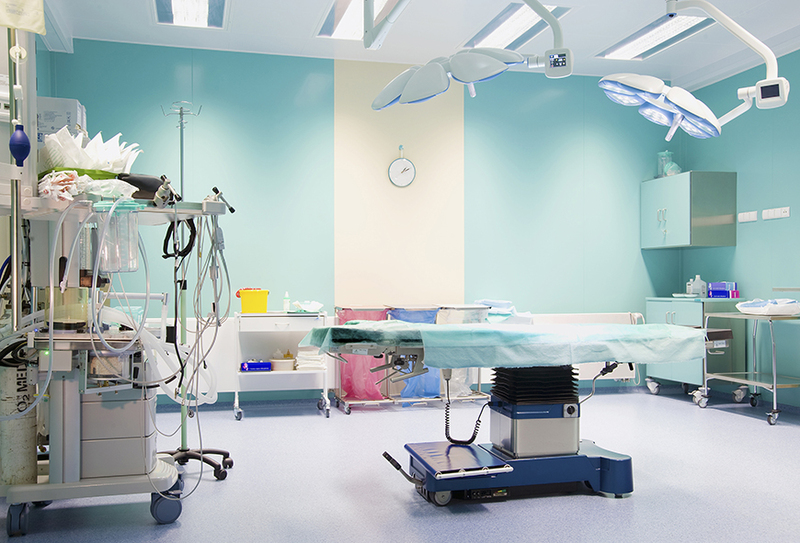 Building machinery, equipment and furniture for the medical, surgical and pharmaceutical sector is a true technological challenge for companies in the industry. The material has to meet strict standards for safety, quality, reliability, precision and hygiene. Most of the equipment, in one way or another, is in contact with patients and medical staff and is also, on many occasions, key to saving many lives. Manufactures in this sector are fully aware of these circumstances, and, for that reason, in recent years they have invested significant time and energy in R&D to improve their products. In this process of continuous improvement, they have found a significant ally– Lantek. With its software solutions for companies that produce pieces from sheet metal, tubes and profiles with any kind of cutting technology (laser, plasma, oxycut, water jet, shear) and punching, it has enabled a notable increase in the quality and safety parameters of the entire sector due, among other things, to the excellence of its CAD/CAM tools and their capacity to integrate with previous management systems. Lantek offers the entire sector its more than 26 years of experience, during which it has worked with more than 16,000 companies, which include some of the most important players in the medical-surgical industry, in more than 100 different countries. "We have a lot in common with the companies in this sector: most importantly our obsession with quality and our commitment to continuous innovation complemented by personalized customer service. For this reason, we can offer CAD/CAM/MES/ERP software solutions that yield more precise, safer and, ultimately, more competitive products,” explained Alberto Martínez, Lantek’s CEO. Lantek offers very interesting solutions in this field, such as Lantek Expert Punch and Lantek Expert Cut, two of the most sought-after systems in the medical and surgical industry. Lantek Expert Punch is a CAD/CAM system specially designed to automate the programming of CNC punching machines. It perfectly combines machines’ technology and companies’ programming and management needs. It also has an advanced interface that makes it easier and more efficient for users to program. “Like all of Lantek’s solutions, this product is the result of more than 26 years of experience in close collaboration with manufactures and users of this type of machines, who know them better than anyone,” says Alberto Martínez. Lantek Expert gives companies in the medical and surgical sector a special advantage since it features excellent laser technology that offers extreme precision in cutting. Other notable features of Lantek Expert Cut are reduced lead-in management, lead-in with back down, custom piercing, flying cut, micro-joints and micro-welds, among other qualities that make it a perfect system in this field. All Lantek Expert solutions are included in a single program, which in turn integrates perfectly with the business management program Lantek Integra, thus creating the widest range of CAD/CAM/ERP solutions in the sheet metal, profile and tube processing industry. It is also integrates into external ERPs. Furthermore, Lantek offers companies in the sector Lantek Flex3d Addins, a set of applications in the Lantek Flex3d product family specifically designed for automatically generating any sheet metal design in 3D. This is the optimal solution for integrating this 3D design into Lantek’s CAD/CAM/ERP. It is also a powerful and intuitive tool that prevents the generation of unwanted files. For example, it allows users to generate both individual pieces and combinations of pieces (assemblies). The assemblies processed with this solution can be composed of different materials with different thicknesses. Together these systems offer a complete solution for sheet metal processing environments, which covers everything from the 3D design of pieces to the generation of the CNC for each type of machine and the comprehensive management of all business processes. It is important to emphasize that in the medical and surgical sector in particular, and in the health industry in general, quality, safety and hygiene are key elements, and absolute control over manufacturing processes is necessary to achieve them. The complete integration and compatibility of the different Lantek solutions help achieve this goal since they are perfectly compatible with the MES systems specific to this type of medical and surgical industry. 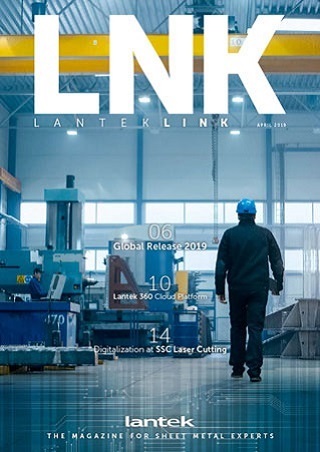 In closing, the CEO of Lantek announces Masterlink, which is the mechanism created by the multinational to connect the CAD/CAM with the company’s existing management systems and includes improved integration capacities for managing sheet metal and remnant geometry. Lantek provides software solutions CAD/CAM/MES/ERP for companies fabricating sheet metal, tubes, and beams with any cutting (laser, plasma, oxy-cut, water jet, shear) and punching technology. Lantek integrates the most advanced nesting software in the industry with the highest standards in manufacturing management solutions. Its capacity for innovation and its firm commitment to internationalization and emerging markets have led Lantek, founded in 1986 in the Basque Country and with central offices in Vitoria-Gasteiz (Alava), to devise a global-local strategy, which has meant it has become a global reference within the industry with its CAD/CAM/MES/ERP solutions. Today, the company has over 16,000 customers in over 100 countries and its own offices in 15 countries, in addition to an extensive network of distributors that are present throughout the world.